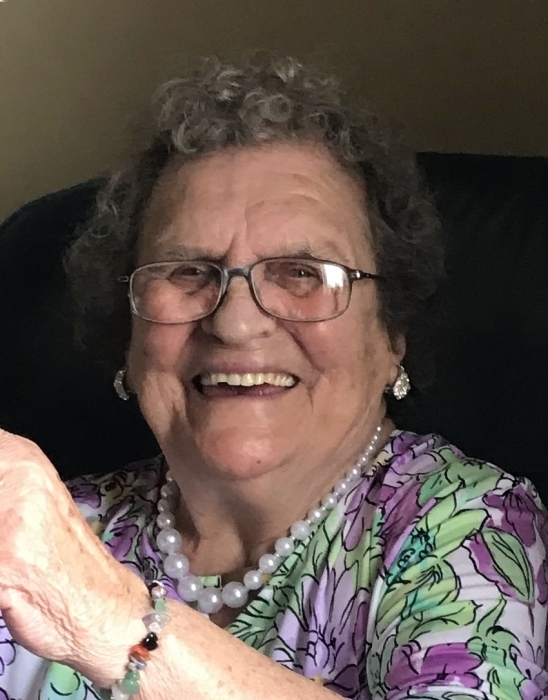 Alberta Ray Ritchie, 86, passed away Friday, September 21, 2018 at Harrison Memorial Hospital. Born November 30, 1931 in Nicholas Co. to the late William Lee & Helen Jones Fryman, she was a longtime housekeeper at The Campbell House in Lexington and was a member of the Central Christian Church in Cynthiana. Alberta loved music, especially anything by Elvis, crafts and greatly enjoyed traveling. She was always first in line for trips with her beloved Cedar Ridge friends. Survivors include 3 sons: David (Frances) Ritchie, of Georgetown, Kenneth (Trish) Ritchie, of Lancaster, & Charles Ritchie, of Danville; 2 daughters: Rosetta (Paul) Tolson, of Cynthiana, & Linda Sue Vascovich, of Paris; 11 grandchildren: Rodney Ritchie, Belinda Ratliff, Kendra Snyder, David L. Ritchie, Jessie T. Ritchie, Jessica Ritchie, Terri Ritchie, Jamey Linville, Timmy Linville, Dwayne Moore & Lonnie Tolson; and 2 sisters-in-law, Helen Fryman & Lois Whalen, along with several great grandchildren, a host of nieces & nephews, and a special friend, Jo Ann Robinson. Also preceding her in death were an infant daughter, Helen Ritchie; 3 brothers: Donnie R., Albert & James Fryman, and a sister, Anna M. Clark. Services will be at 2:00 PM Tuesday, September 25, 2018 at Drake-Whaley-McCarty Funeral Home by Bro. Wayne Tolson. Burial will follow in Mt. Pleasant Cemetery. Visitation will be from 12:00 Noon Tuesday until the time of services.